The smallest of the Acrocephalus warblers. Pale brown above, with slight olive tinge with a warmer coloured rump, Creamy buff below with buffier flanks. Shortish white supercilium and pale eye ring. A rounded tail ( like all Acrocephalus warblers) long undertail coverts and sloping forehead. Best told by pale fringed dark tertials, long primary projection, with 8 primary-tips showing all with pale borders. 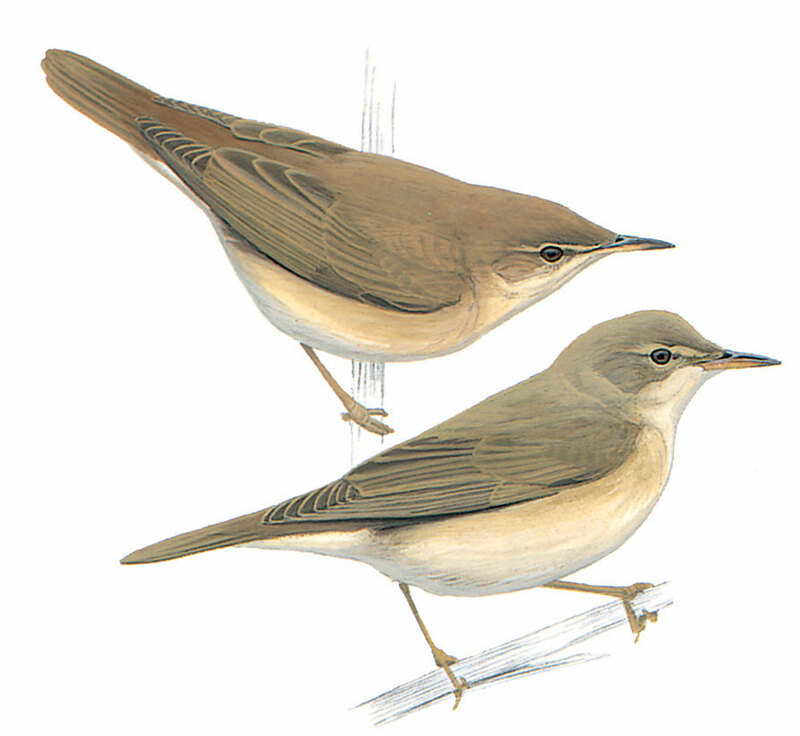 Less warm in plumage tones than European Reed with paler legs and impression of shorter bill.